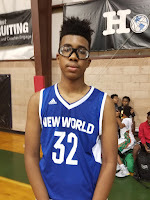 Malik Bowman Forward (New World) – Standing at 6’7 already wearing size 18 shoes Bowman projects to be 6’10. This lefty point forward arguably could have been the top prospect in the tournament. He puts you in the mindset of a Ben Simmons with a better jump shot. His ball skills are already elite allowing him to run the point for his squad showing his high IQ and feel for the game he continuously made the right play whether it was taking the shot or getting his teammates involved. He has a soft touch and he can knock down his jumper out to the three point line and he also makes his free throws at a high rate. We liked his ability to get in the paint and shoot a soft floater or kick to an open 3 point shooter. Malik can really pass the ball which is rare for a player his size. Bryson Wilson Guard (New World) – Wilson is a strong body wing that was the primary scorer for his team. He has a nice long range jumper that he showed off in the game we watched knocking down multiple three pointers. He also can get to the rim and if he gets fouled he knocks down his free throws. Bryson also rebounds and can guard multiple positions. He finished with 13 points in the game we watched. Tyler Mason Forward (New World) - Mason is a raw power forward that best days are ahead of him. 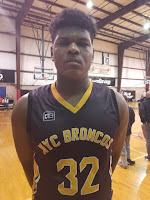 Standing at 6’8 he runs the floor well and can finish around the rim. Right now he better on defense clogging the paint up rebounding and blocking shots. We look forward to tracking his progress as he continues to hone his skillset and offensive game. 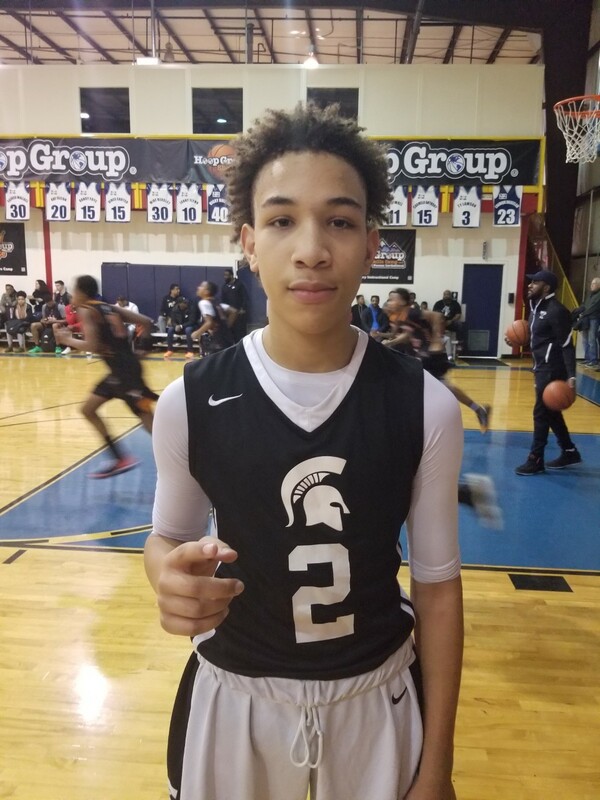 Dajon Burton Guard (Team Spartans) – We weren’t able to see a lot of his game but when we were watching Burton was scoring the ball at will. His strength is his jumper from distance as he knocked down three 3 pointer in the game we watched. He also made his free throws and scored in a variety of other ways. 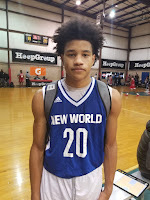 He finished with a game high 19 points in their convincing win against BABC. 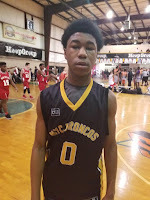 Precise Clarke Forward (Student Athlete Broncos) – Clarke might have been the best true post player in the tournament. Standing at 6’8+ he is like an immovable object. Once he gets position on the low block you can count the 2 points. 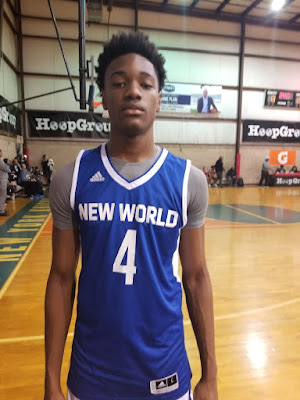 He moves up and down the court really well and plays both ends of the court rebounding, blocking shots and making it tough on the opposing team. He finished with 16 points in the game we watched. 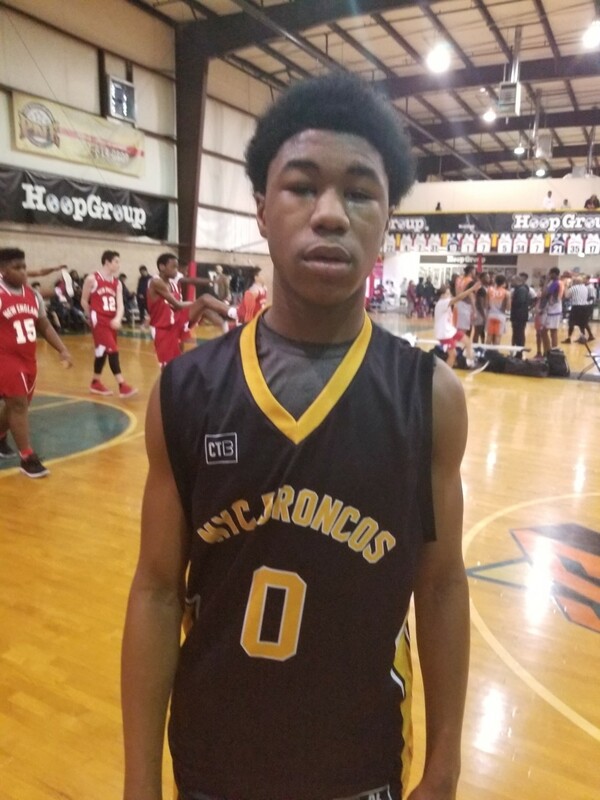 Tyleel Hall Guard (Student Athlete Broncos) – Hall is a guard that can really score the ball. He is the outside threat to Clarke’s inside threat on his team. He can really stroke the 3 ball as he hit four of them in the game we watched. He plays with toughness and can score on other spots on the floor and is efficient for the charity stripe. Tyleel tallied 19 points in the game we saw.